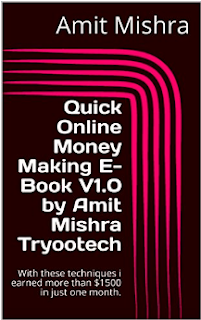 In this E-Book, I have shared my own experience in terms of online earning. 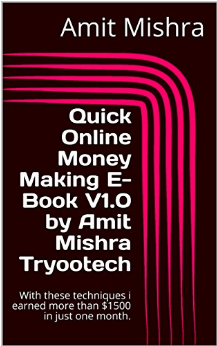 I am working and earning from the internet for the last 6 years and in this E-Book, I will also going to show My earnings. Here I am not going to tell you some magical tricks to earn money, I have shared only those experiences which really worked for me. If I can earn money from the Internet then you can also earn even more than me. This eBook can guide you throughout your journey but I don't know how capable enough you are towards online earning. I have shared every possible way I have experienced to EARN MONEY FROM INTERNET.